If you have seen Skyfall you probably felt that there were some similarities to Christopher Nolan’s films as I did and I have been bemused when others have said that Skyfall is The Dark Knight to Casino Royale’s Batman Begins but couldn’t really substantiate the point past trying to draw a link between The Dark Knight and Sam Mendes's quote regarding The Dark Knight - see below. So I thought I would throw out some thoughts on possible parallels and synchronicity I see between Skyfall and Christopher Nolan’s films. 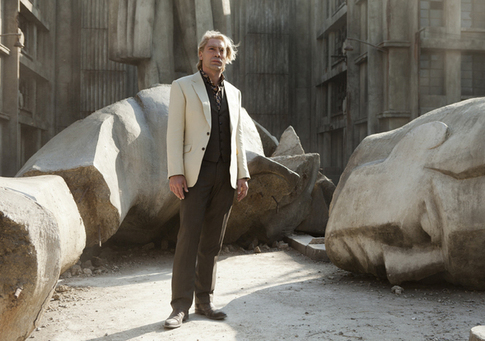 I would suggest that if you have not seen Skyfall yet you stop reading this now. 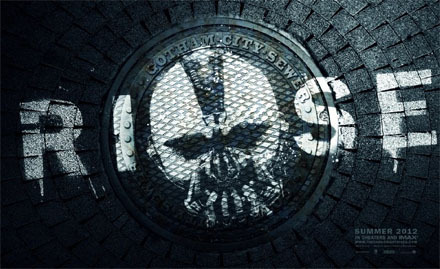 The Establishing Shot review of Skyfall can be found here and our review of The Dark Knight Rises review here! ”In terms of what [Nolan] achieved, specifically ‘The Dark Knight,’ the second movie, what it achieved, which is something exceptional. It was a game changer for everybody," he explained about how it influenced his approach. 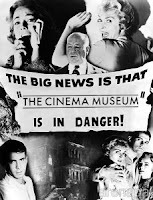 We’re now in an industry where movies are very small or very big and there’s almost nothing in the middle," he continued. "And it would be a tragedy if all the serious movies were very small and all the popcorn movies were very big and have nothing to say. And what Nolan proved was that you can make a huge movie that is thrilling and entertaining and has a lot to say about the world we live in, even if, in the case with ‘The Dark Knight,’ it’s not even set in our world. It felt like a movie that was about our world post-9/11 and played on our fears and discussed our fears and why they existed and I thought that was incredibly brave and interesting. That did help give me the confidence to take this movie in directions that, without ‘The Dark Knight,’ might not have been possible. So in essence it sounds like Mendes is saying that The Dark Knight’s influence on Skyfall was all about the tone and how it was as a measure for whether a dark film could still make a profit at a blockbuster level. Whilst I agree that The Dark Knight may not have been the biggest influence on the story of Skyfall - as The Dark Knight Rises is clearly more of an influence I felt I identified further synchronicity and references to Nolan’s works past the tone and couldn't help wonder if the Bond team were giving Christopher Nolan a little of his own - as he has openly admitted to plundering from Bond films over time for his own needs - or if it was more of an acceptance of Nolan’s not so subtle request to direct a Bond film? 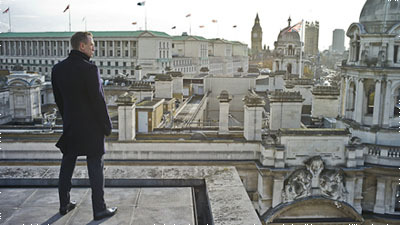 Skyfall alludes to the sky falling down and in Skyfall this motif is threaded throughout the story. 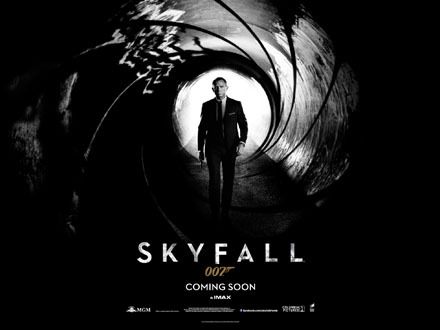 Skyfall has a pertinent meaning tied into its climax when death literally comes from above, as well as the aforementioned - being a place that may derive its name originally from its location being between two mountains and from a certain vantage point visited in the film it looks like the sky is falling in on it. 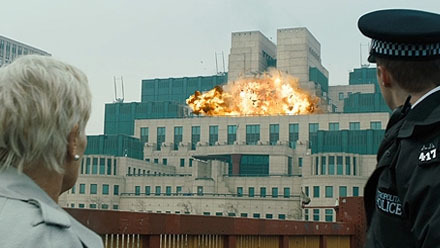 Thirdly the title ties into a crucial event that becomes somewhat lost in the magnitude of events that follow – but James Bond falls from the sky to his death at one point. 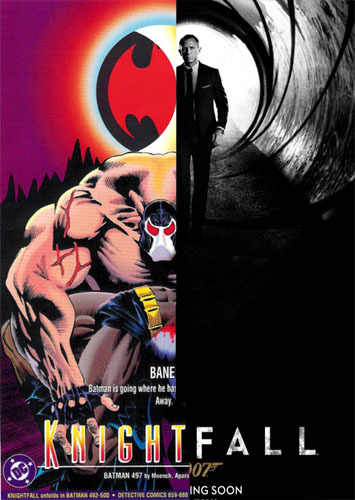 But whilst not strictly a Nolan meme Knightfall and The Dark Knight Falls are both titles synonymous with Batman. 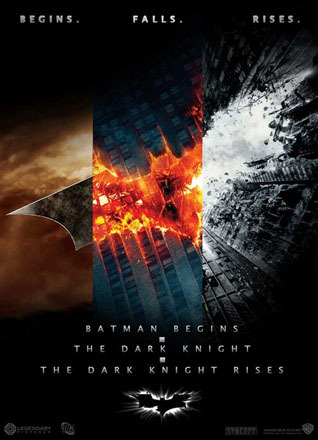 The Dark Knight Falls is the third and final part of Frank Miller’s Batman: The Dark Knight in which Batman was re-imagined for a darker future world. 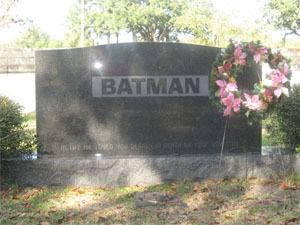 In The Dark Knight Falls Batman “dies” but is resurrected. More pertinent is Batman: Knightfall, both the story arc that kicks off the Knightfall trilogy consisting of Knightfall, Knightquest, and KnightsEnd as well as the title of the three story lines combined. In Knightfall Bane breaks Bruce Wayne’s back leaving him for dead but he resurrects himself across the other two story arcs which ran for a year. Christopher Nolan used Knightfall for the basis of The Dark Knight Rises, but sadly compacted the timeline - much to the detriment to the narrative of The Dark Knight Rises. Christopher Nolan has said that his Batman trilogy was an elemental fight and the elements may have indeed grounded his Batman films adding gravitas. 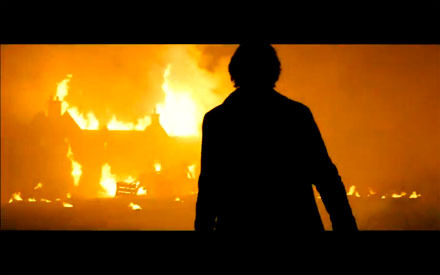 So even if the Knightfall – Skyfall similarity is a coincidence - there is more than an elemental ring to the title Skyfall. As I explained in my previous point both Batman and Bond die and make a comeback. Again not conclusively a Christopher Nolan Batman thing as Bond died and was resurrected in Ian Fleming’s 1964 novel You Only Live Twice novel and then on screen in Roald Dahl's adaptation of You Only Live Twice directed by Lewis Gilbert. But I would contest when combined with the obvious similarities of both heroes being in films released in the same year, where they are both wounded and disappear to be resurrected - gives this point more substance. The difference between The Dark Knight Rises and Sam Mendes’s Skyfall character resurrection is that rather than creating confusion and a huge pothole around his recovery and reappearance Mendes’s James Bond’s disappearance and reappearance makes sense. 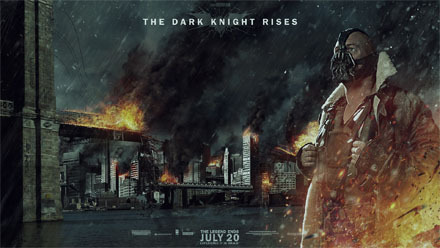 In The Dark Knight Rises Bane and his allies have a stranglehold on Gotham – in Skyfall Silva and his allies create fear and bring London to a stand still. Our villains attack the cities our heroes watch over. 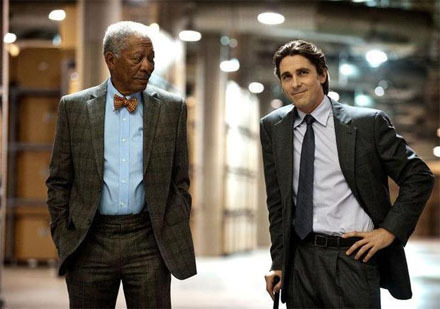 Bruce Wayne’s Lucius Fox (Morgan Freeman) was basically a thinly veiled Q, with Skyfall Quartermaster Q makes a youthful comeback. In the form of Ben Whishaw. The playful push pull mentor pupil dynamics between the two are very much in the style of Bruce Wayne and Lucius Fox which seems to echo the original Q (Desmond Llewelyn) and Bond’s relationship. 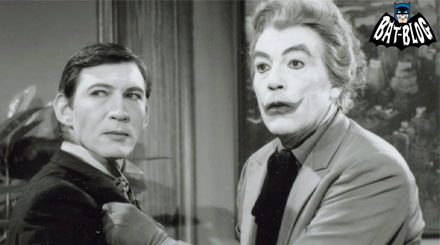 Bond's relationship with M has shades of Batman and Commissioner Gordon's relationship this is further played with in one scene where Bond like Batman appears out of the shadows to chat with M.
Finally and the only clear parallel between Silva and Heath Ledger’s Joker is that Silva borrows from The Joker’s method of operation playbook to get close to his targets. 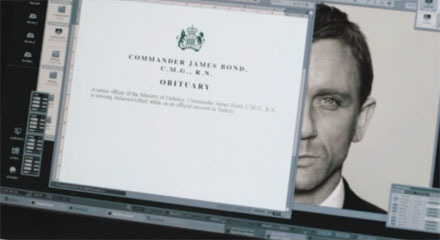 At one point James Bond looks skyward and says “A Storm’s coming” as an ominous warning. This line is used in both Batman Begins by Batman and then again in The Dark Knight Rises by Selina Kyle. This could of course also allude to a sailor’s concern - a reference to James Bond’s earlier maritime history if the new series relies on Ian Fleming’s original naval background for Bond which it seems to as Bond has the R.N. abbreviation for Royal Navy in his obituary rather than the RNVR (Royal Naval Volunteer Reserve) that he had in Ian Fleming's books. As related side note: Whilst discussing the underwater shoots for Skyfall it was revealed that Daniel Craig is a keen scuba diver so I’m guessing that we may well see more of James Bond’s underwater exploits moving forward. 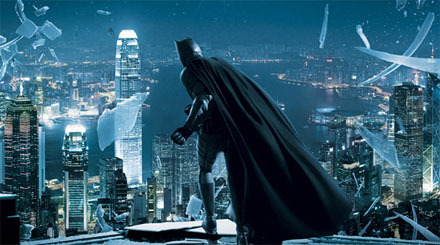 The two most obvious similarities is that firstly Batman visited Hong Kong a special administrative area of China in The Dark Knight to retrieve mob accountant Lau. 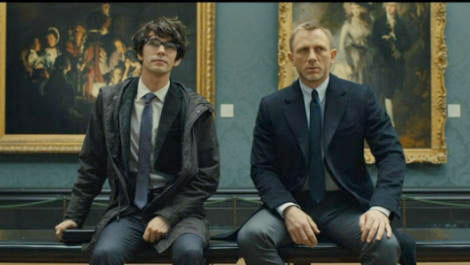 In Skyfall James Bond pursues an agent to Shanghai China. 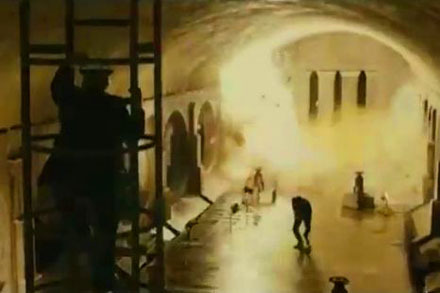 Secondly underground tunnels are a prominent features in both films as both locations and devices to move the plot along. 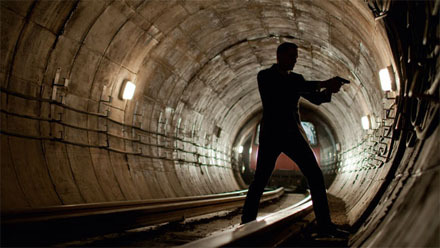 Tunnels play a part in both Bruce Wayne and Bond's childhood as well as in both; The Dark Knight Rises and Skyfall underground tunnels are used by our villains in their planning. More subtly in Christopher Nolan’s The Dark Knight Rises - and referring back to the elemental aspects of Nolan’s Batman - ice plays a part in the story. 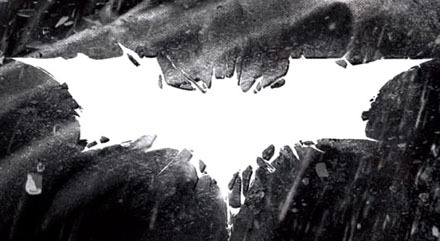 From the outset of the marketing for The Dark Knight Rises we were shown the bat symbol cracking and shattered this tied into the frozen river that separated Gotham from the mainland. This was a device used in the comics but Nolan brought the broader symbolism of authorities / those in control / bankers walking on thin ice that could give way anytime. This could also be a reference to the lesson that Ra's al Ghul (Liam Neeson) teaches him regarding sacrificing sure footing for a killing stroke when Bruce & Ra's are training on ice. this lesson can be applied to both Batman's actions and the general authorities in The Dark Knight Rises. Well Mendes uses a similar setting but rather shows just how Bond deals with thin ice in his own special blunt and ballsy way. Talking about the ice, the scenes in question was shot across Glencoe, Glen Etive in Scotland, Hankley Common and of course Pinewood. I would also have to mention (without giving too much away) that this location - is the Bond equivalent of the Wayne Mansion and suffers a similar fate to the Wayne Mansion at the end of Batman Begins. But further more revelatory similarities exist between Silva’s South China Sea Island and Nolan’s other works. Whilst there are references to earlier Bond films like GoldenEye’s Russian statue graveyard of former Soviet leaders. Clearly the design and architecture of the island was influenced by Dom and Mal’s dream island from Inception. 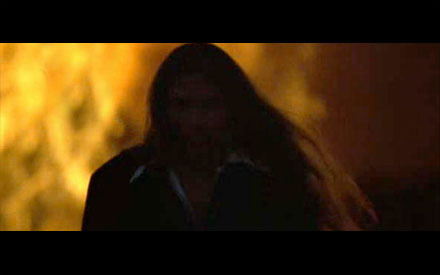 The design is similar enough to be noticeable but not enough to take you out of the film. 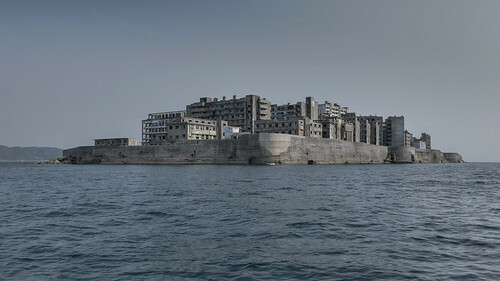 The fact that Silva’s island is based on the real deserted island of Hashima is a further slap down to Nolan’s reality based in reality elements of his films. 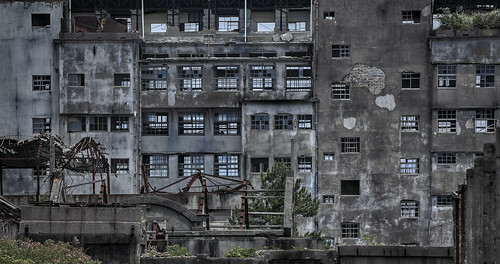 Hashima, originally uploaded by Stefan the Cameraman. The design of the Macau casino is breathtaking, the level of intricate design and construction of the casino - is a welcome return to the classic Bond design we love and has sadly been missing from bond for awhile. But I can't help but think that Christopher Nolan's dedication to detail particularly the design of Ra's al Ghul Tibetan base and possibly more so with Saito's eastern dream home in Inception look to have had more than a passing influence on the design of the casino. Something else I noticed is that the design of Silva’s cooling system for his super computers owes as much to Nolan’s Inception as it does to Sony. The angle in the pics below don't quite do the design justice. Which stems from Christopher Nolan’s love for Stanley Kubrick’s films and is a reference to The Shining’s Overlook Hotel Maze. It has to be said the irony of a man living on a deserted crumbling island talking about the “Empire” falling apart can surely not be lost here? 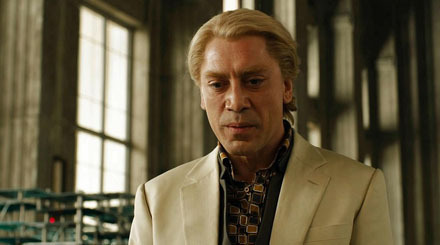 There are some similarities between Nolan’s films and Skyfall that would point to the Bond team saying - Hey Nolan you don’t have to reference Bond to make your films richer just be more original, no where is this more apparent than when they out Joked Nolan’s Joker with Javier Badem’s Raoul Silva. Many are saying that our first glimpse at Silva in the teaser trailer alludes to Heath ledger’s Joker I still don’t see it - I feel it is a direct reference to Bryan Singer’s dark overlord Keyser Soze from The Usual Suspects - which admittedly may have fed into Nolan’s Joker as well. So how does Silva out Joker The Joker? As much as Nolan tries to tell us that The Joker cannot be understood his personality inconsistencies deflate his mystery. 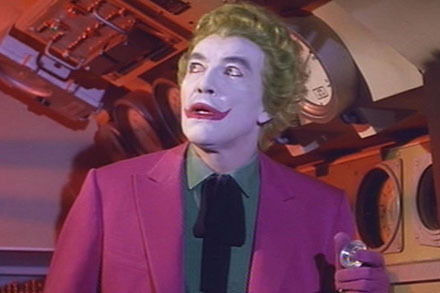 However something that worked very well is the ambiguity of The Joker’s origins - in fact The Joker seeding multiple origins is used to great effect and a brilliant device to add to his insane ambiguity and play with the audience in a Hitchcockian way. And Nolan keeping The Joker’s background and motivations a mystery and still making us feel sympathetic for this tragic character is quite an achievement but I never felt that Heath Ledger’s Joker was a fully fleshed out character – this may be because there was a lot of other stuff going distracting my attention. 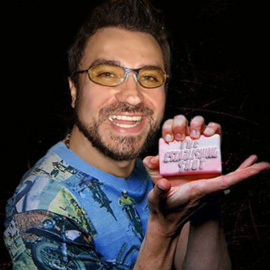 But he always felt like he was always in control of what he was doing leaving the insane aspects of his character to be demonstrated by his actions however when examined with hindsight clearly they are not the actions of a lunatic.None of these problems exist with Badem’s Silva – he is intelligent and clearly on the far side of insane. 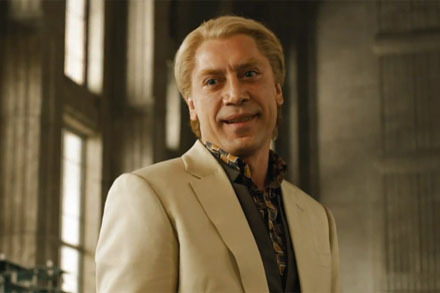 You really get a sense that this is the type of man Raoul Silva is particularly through his actions rather expository narration and there is a great standout scene where Silva gets his men to destroy something just because he can and it may mean something to Bond. Whilst Christopher Nolan focused on lifting The Joker from the comics and bringing him into the real world Mendes goes another way and creates a villain and a world that he can fit into. 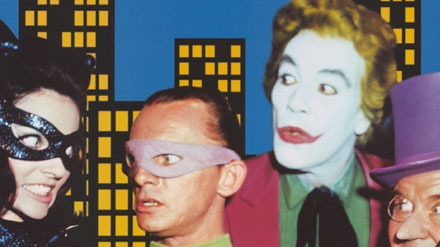 Raoul Silva’s origin is the very similar to the comics origin of The Joker - which Tim Burton used in his Batman. In the comics depending on which origin you read The Joker was either a small time hood or a desperate family man forced into crime either way he ends up in a vat of acid that causes permanent physical disfigurement including changing his skin & hair colour as well as drives him insane. 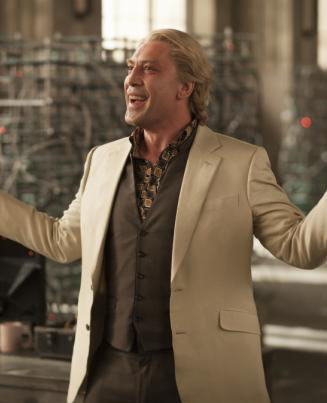 In Skyfall Silva chomps a hydrogen cyanide capsule which does not kill him but leaves him horribly disfigured and more insane. While it is not conclusively revealed that Silva’s hair changes colour but makes sense tying into the Bond formula of Villains motif’s linking across their identity – Silva – Silver / White hair. 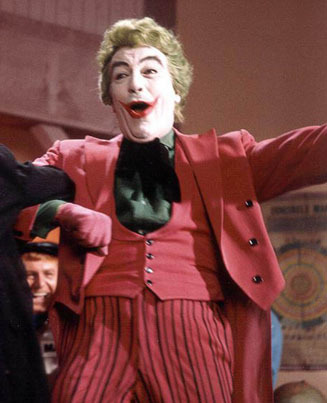 Without his prosthetic body parts he is the splitting [albeit more frightening] image of The Joker from the comics. 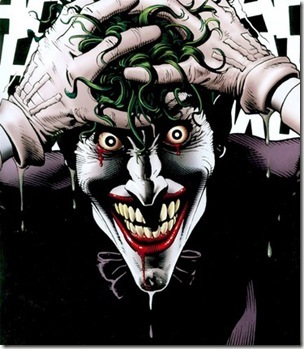 Mendes succeeds in making a credible Joker with roots closer to the original comics. 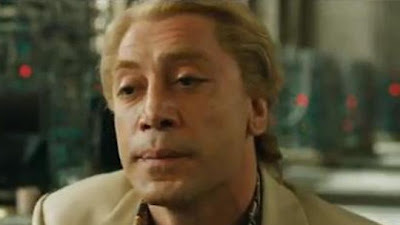 An even bigger slap down is that there are more similarities between the way Bardem looks and plays Silva to Cesar Romero's 1960s Joker than Nolan's Joker reiterating a running theme throughout Skyfall sometimes the older ways are better. 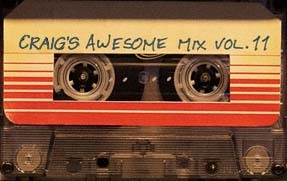 Some of this stuff is a bit wacky but I'm sure that you may agree with at least some of it. I would love to hear your thoughts. Very interesting read, and covers a lot of stylistic tropes from Inception i noticed while watching Skyfall.